I am back home from my Baltic States and Polish adventure. Its been amazing, and at times I struggle to consider how so much could have been done in just 2 weeks. Last week I visited Auschwiz and Birkenau, the magnitude of what went on their in my parents lifetime is beyond comprehension. 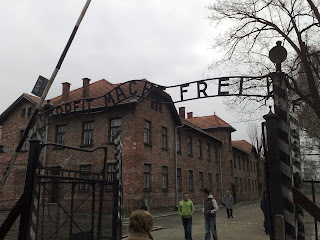 This place is an essential tool to helping future generations understand the power of hatred.